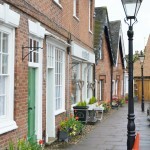 Market Bosworth town is close to the marina and has so much to offer its visitors that it is well worth the walk up the hill. Of course there is a bus which runs from just outside the marina from 7am until 5.40pm for the less energetic visitor. However you get to town, you will be presented with lots of ways to part with your hard earned cash. There is a small supermarket as well as a traditional butcher, a fruit shop, a paper shop, a delicatessen, a chocolate shop, an antique shop and many others including three hairdressers. The market in the town centre operates every Wednesday, with a variety of stalls selling fruit, vegetables, clothing, fish, fabrics, plants and other items. On the fourth Sunday of every month there is also a farmers’ market. There are cafes to refresh the weary shopper or three pubs where you can slake your thirst. 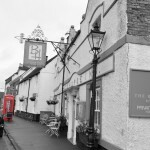 Market Bosworth caters for the diner with good restaurants such as Softleys, The Dixie Arms Hotel, which has an Italian pizzeria, and The Black Horse, which serves high quality food. There is also an Indian restaurant which has a takeaway service, a Chinese takeaway and an award winning chip shop that completes the culinary line-up. 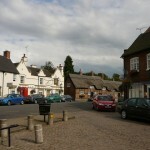 Market Bosworth is also situated close to the site of the Battle of Bosworth Field, which was the last significant battle in the War of the Roses and saw Richard III die in battle. Richard’s body was recently re-discovered in Leicester, not far from Market Bosworth. 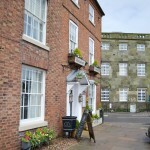 Paths connect the Bosworth Battlefield Visitor Centre to Market Bosworth Country Park, that extends over an area of 35 hectares and includes historic parkland, fine mature trees, wildflower meadows, and rough grassland. Here you can take a gentle stroll, stop and feed the ducks and geese at the Bow Pool or picnic in the shade of an oak tree. The town has bus services running to Leicester, Coalville and Hinckley but its most interesting transport link is the Battlefield Line Steam Railway which runs between Shackerstone and Shenton, with Market Bosworth being half way between the two termini. The station is less than a five minute walk from the marina and is a nice place to go and have a tea or coffee while watching the trains go by if you don’t fancy a ride on an old diesel or steam hauled train. Another attraction situated close to the marina is Bosworth Water Park where it is possible to learn to sail a dinghy or windsurf amongst other things. Across the road from the water park is a fishing lake where anglers can pit their wits against some wily carp. 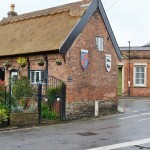 Boating for a couple of hours to the north of Bosworth takes us to Congerstone, Shackerstone and Snarestone; small villages but each boasting a pub all of which are delightful in their own way. Going south from the marina takes us to Shenton where it is but a short walk to the visitor centre dedicated to the battle of Bosworth. Shenton station is home to a potter and a glass blower as well as a tea room. A ten minute walk to the village and the visitor will find Whitemoors Antique Centre and restaurant as well as a couple of farm shops. 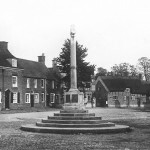 Two hours from Bosworth brings the boat to Sutton Cheney where, like at the head of navigation at Snarestone, there is a full set of boater’s facilities and a winding hole. Another hour brings the boater to Stoke Golding where there are three pubs, a post office and a small shop as well as a social club. The next winding hole is at bridge 22 so there is plenty of scope for weekend trips from Bosworth Marina and still time to visit the farm shop at bridge 23. Thank you to George and Susan Kennedy for their guide to the area. Click here to visit their blog.